Nothing tastes quite as good in autumn as the sweet, toasty pumpkin. 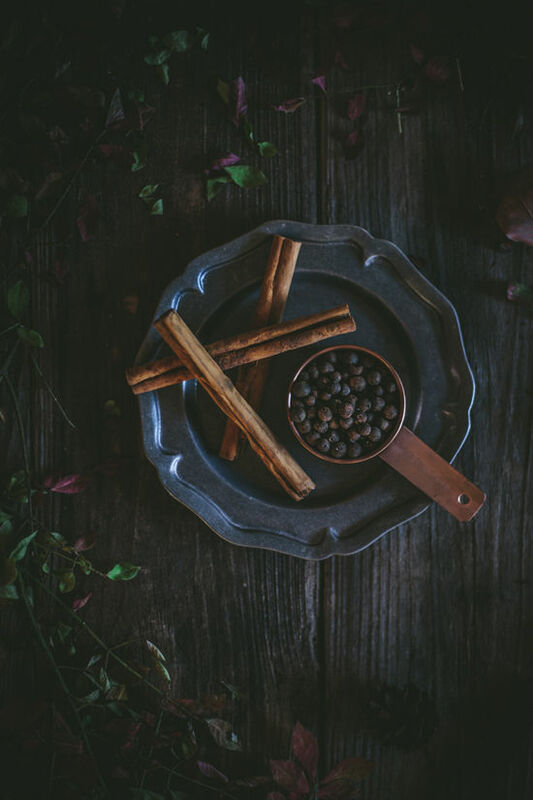 The cool crisp air also signals the transition from the cool drinks of summer to the piping hot beverages of fall, and to me nothing tastes more like fall than a delicious chai latte. 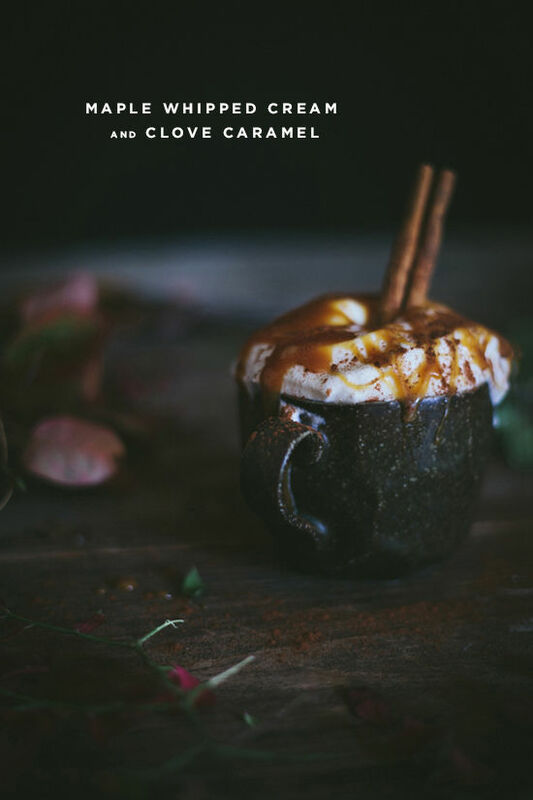 So, I of course decided to combine the two in this rich and decadent concoction, complete with a homemade clove caramel and maple whipped cream topping. Yes, I went there. And once you go there, there’s no coming back. 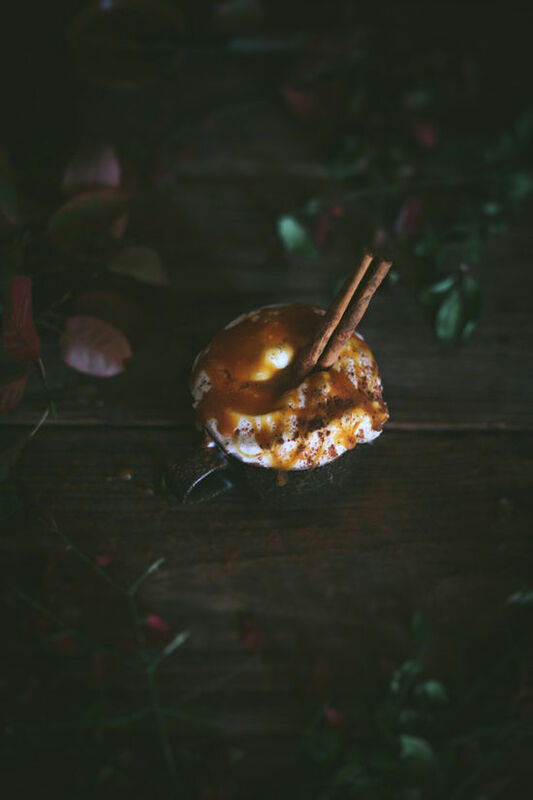 So join me in this autumn wonderland, where creamy pumpkin befriends buttery caramel, and all feels right with the world. First, prepare the caramel. In a small stainless steel saucepan, mix together the water and the granulated sugar over high heat until the mixture comes to a boil. Bring the heat down to medium and continue boiling until the mixture turns a light caramel color, stirring once every two minutes or so. 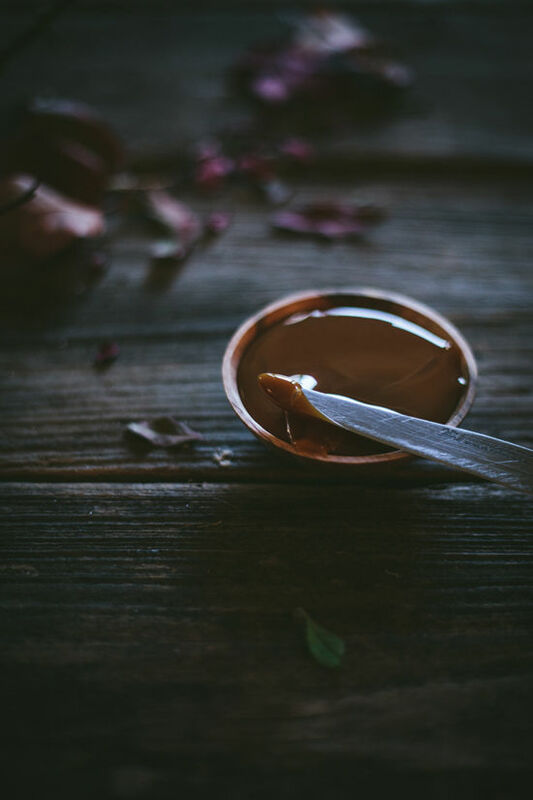 It can take up to 15 minutes for the clear syrup to turn light caramel-colored, but the exact speed will depend upon the heat intensity of your stovetop. Once the syrup turns that light amber hue, quickly remove the pot from the heat and immediately stir in the heavy cream, butter, and brown sugar until incorporated. Be careful when adding the ingredients, however, as the mixture will spit and hiss a bit. If the sugar begins to clump up when you’re stirring do not worry, just stir as best as you can for about 30 seconds and then place the pot on the stovetop over medium heat until the mixture reaches a boil. Once it is boiling again, stir it until the sugar chunk dissolves and the mixture is smooth. When the caramel smoothes out, allow the mixture to simmer for 3-5 minutes more so that it thickens slightly. Remove from the stovetop and stir in the vanilla extract, cloves, and salt. Set aside and allow to cool to room temperature. Use immediately, or keep in an airtight container in the refrigerator for up to 1 week. If refrigerated, the caramel will solidify slightly, simply heat it up a bit to get it back to drizzling consistency. While the caramel is cooling, prepare the whipped cream. Beat the cream and maple sugar in an electric mixer fitted with the whisk attachment at medium high speed until the cream holds a very soft peak. Gently whisk in the sea salt until incorporated. Cover and set aside. To prepare the pumpkin latte, heat the milk in a small pot over medium low heat until hot but not boiling. Whisk the pumpkin puree, vanilla extract, chai powder, cinnamon, nutmeg, and ginger into the milk. 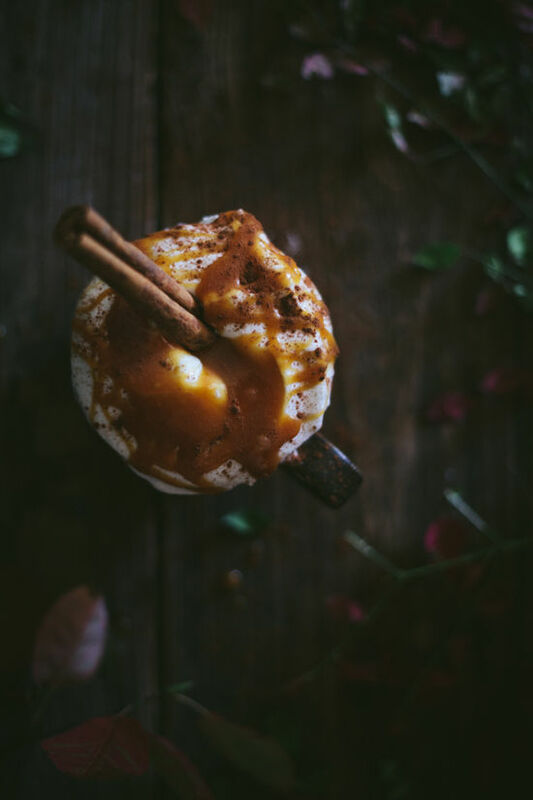 Divide into 4 cups and top with the maple whipped cream and nutmeg caramel. Serve immediately. My goodness, the photos in this post are amazing, really loving the dark dark colours – so beautiful!! or reviews and additional data, is there any other site which offers these kinds of information in quality? oh wow, i love the dark colors on this post… AND this looks fantastic. Oh wow, these photo’s are stunning. I bet that tastes incredible! I love your stoneware mugs as well. It’s going to be ending of mine day, except before finish I am reading this impressive piece of writing to increase my experience. the photos are amazing and it looks so good…!! 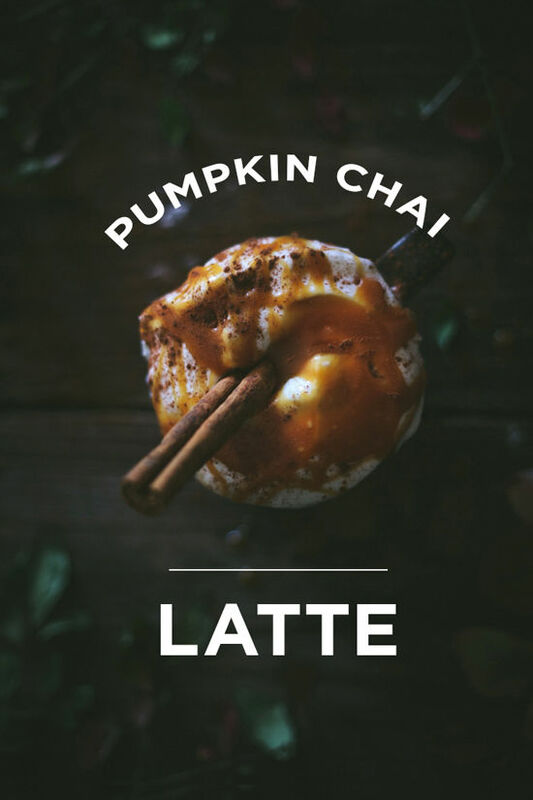 i really want a pumpkin chai latte right now! thus he/she desires to be available that in detail, so that thing is maintained over here. Hi my friend! I want to say that this article is awesome, nice written and come with approximately all vital infos. After exploring a handful of the articles on your web page, I honestly like your technique of blogging. Wow! That looks scrumptious! Also, those photographs are gorgeous! Lovely lighting and colors! This latte sounds amazing! I NEED to make it this fall! This has NOTHING on starbucks! Looks amazing!! Just stumbled upon your blog and I am in love! This what I hope my blog to be like one day 🙂 Its perfect and I want more! I have got read through number of personal blogs and additionally been through some,but your job is usually stunning.Hats off to the dedication plus candor.Do continue to keep us all enlightened in future too.